We will be playing 1 round of 18 hole loop of Dan Phillips private course. HWY 416: Take the 416 south to the Kemptville (HWY 43) exit. at which point you will take a right onto HWY 1. Simms Rd. then an immediate left onto Ronson Rd. Travel to the end of Ronson Rd. then turn in to the last driveway on your left. From Albion Rd: Take Albion Rd. south to Stagecoach Rd. you will take a right onto HWY 1. The street address is: 10254 Ronson Rd. Hope to see you all out there on Saturday! If you want to be in a festive mood you do. Oooohhh, are we having a party!? Exciting! Ain't no party like a Mountain party. Discs are ribboned! Snowshoes are packed! Can't wait to play the beaver pond holes! Yeah right, flippers?!? Like anyone could drive in flippers. You're silly, Rico. Sounds like a good contest, long drive contest in flippers. Mando X step. I did build a boat out of scraps BBP you can play those holes with it. You may also want to run as Ace pot as there are a lot of aceable holes here. Just ask Spike if you don't believe me. As usual there will be a fire and pizza after the round so if ya want to stick around after everyone is welcome. ...and I don't believe you. 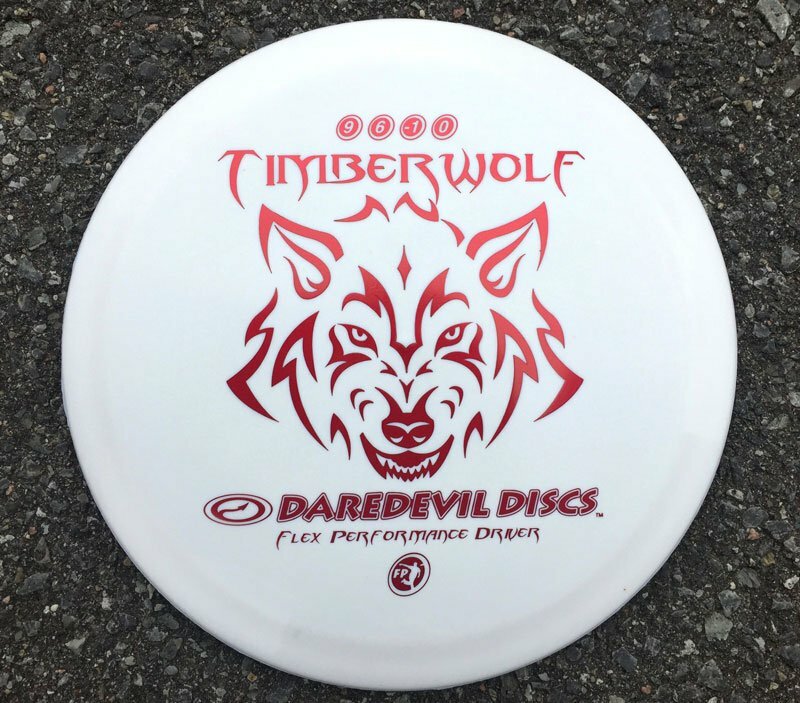 I'll be setting up a Daredevil Discs TEAM CTP at Screw Driver this Saturday. Up for grabs are two new WHITE Timberwolfs! And you're probably thinking, "This is Ice League! Why are you giving me a white disc?!?" You can dye it any colour you want! Just drop it in a bucket of clothing dye. They won't be ready by tomorrow, but I'll have them to you by next week. Aaahhhh, this is why I'll need flippers. Packed! Getting two shots at a hole is fun. Don't mind the double-neuf.